Broken wheat or Dalia is a healthy substitute to Rice that is easy to digest and high in iron and fiber. It is also known as fada, cracked wheat, bulger, lapsi. 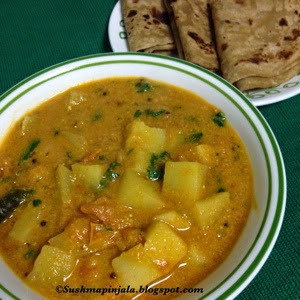 Dalia has been a part of Indian Cuisine since ages. It can be used in making lot of varieties like kichidi, pulao, upma an dcan be used to make sweets too. Broken wheat is not only good for kids but also grownups who want to loose weight. Today I will me making Dalia Pulao with lots of veggies. Add your favorite veggies with some whole spices. Can be a great dish for lunch boxes and dinner. Here goes day 13 post under the theme " Biryani / Pulao / Kichidi recipes with grains". In a presser cooker heat oil and add all the whole spices. Saute till onions turn light pink color, add chopped chili and all the veggies. Now add turmeric powder and salt to taste. Add 2 cups water along with chopped cilantro and mint. Adjust salt to taste and bring the water to boil. Now add broken or creaked wheat and mix well. Cover and cook for 2 whistles. Let the presser goes away naturally before opening the lid. 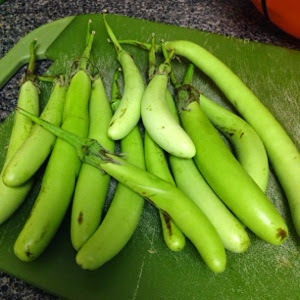 Serve hot with boondi raita or any pickle. Broken wheat version is definitely healthier over the traditional pulao. You have presented it quite beautifully. Looks very inviting. I make a biryani with Dalia similar to the pulao...so I knew how delicious it would be.. lovely share.. I have always made a Khichadi with broken wheat , but never a pulao ! The pulao looks very good , a new or me ! Love this version of healthy pulao. It also looks colourful and super inviting. Very beautifully presented and the dish sounds innovative and interesting sushma. Very healthy pulao with broken wheat. Love the way you presented. Very nice.